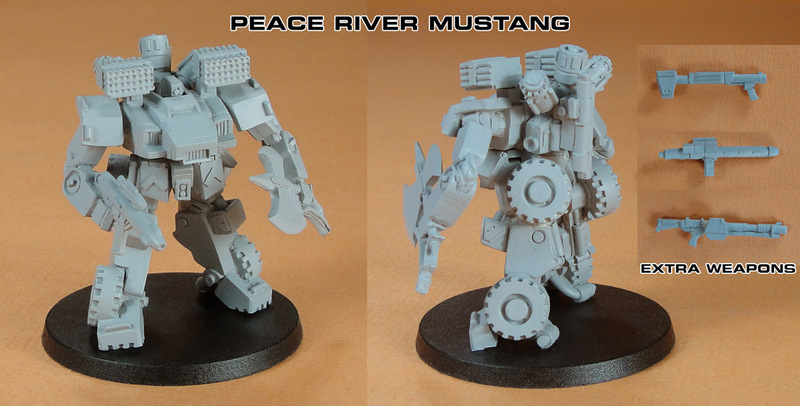 The new Mustang miniature for Peace River is now available for Pre-Order on the Dream Pod 9 Online Store. The Mustang is also included in two new squad packs available for Peace River, the Anti Rover Squad (DP9-PRAR, 4 minis: 3x Pitbull, 1x Mustang) and the Tactical Response Squad (DP9-PRTR, 4 minis: 3x Gladiator, 1x Mustang). Orders for all of these will start shipping after Friday (October 31st, 2014). Here is a direct link to the Peace River faction ordering page for all interested.